Being a mama is a full time job. So when you have another full time job on top of that outside of the house, plus what I would deem another full time job just in keeping your house together, well you can see where I am going with this...the work is never done. That being said, in being a working mama, there are a few things I told myself I would try my best to give my little man despite the fact that I wasn't able to be home with him each day. A lot of these things revolve around food - as it is something I still feel that I can "control". Thus, as many a working mama does, I spend my days sitting in my luxury "pumping suite", aka a closet, so that he can continue to receive breastmilk and it's benefits when we are apart. In addition to that, it was my goal once he started solid food a few months back that because real, nutritious food is something that is so important to our family, that I would dedicate myself to finding ways to ensure little man could still receive nutrient rich foods each day, no matter whose care he was in. While I will admit, the task of preparing all homemade food was a little overwhelming at first with all of the other "jobs" I was trying to juggle, over time, I have developed a system that works for our family, and seeing that little guy of ours navigate and even enjoy such a variety of new tastes that nourish his body each day make it all worth it. I have had a variety of questions lately about how we feed Asher, what resources I have used, favorite things, etc. and so I thought I would take some time to share a few of these things in this post, along with a few lessons I have learned along the way, particularly as a working mom, to make this process work for us. Tip #1: Buy this book. But seriously, if not this one, then get something to give you some ideas that maybe you wouldn't have thought of on your own, and let's be honest, that just give you an idea in general so that you don't have to think so much. 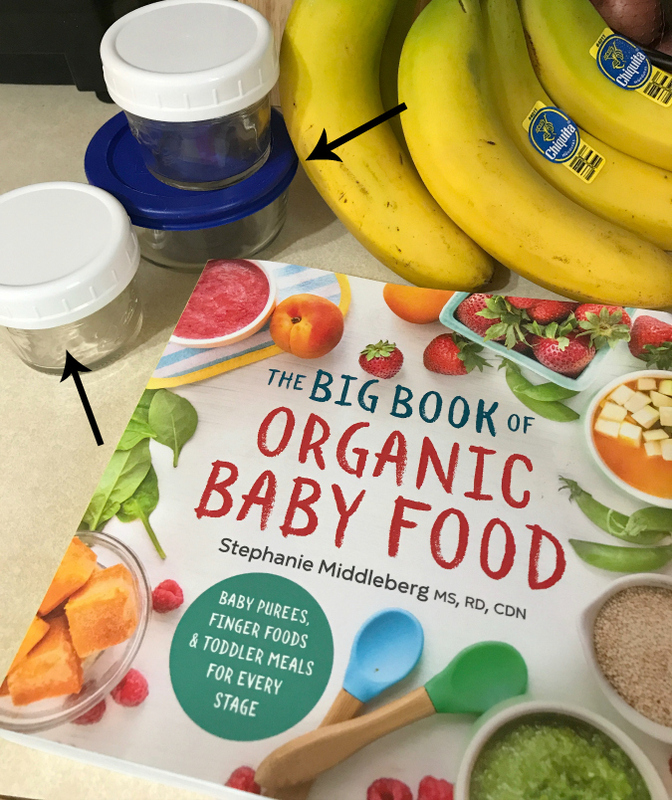 I found "The Big Book of Organic Baby Food" by Stephanie Middleberg to be helpful because she shares how to prepare everything from first foods to baby smoothies and even which spices to pair with each dish. 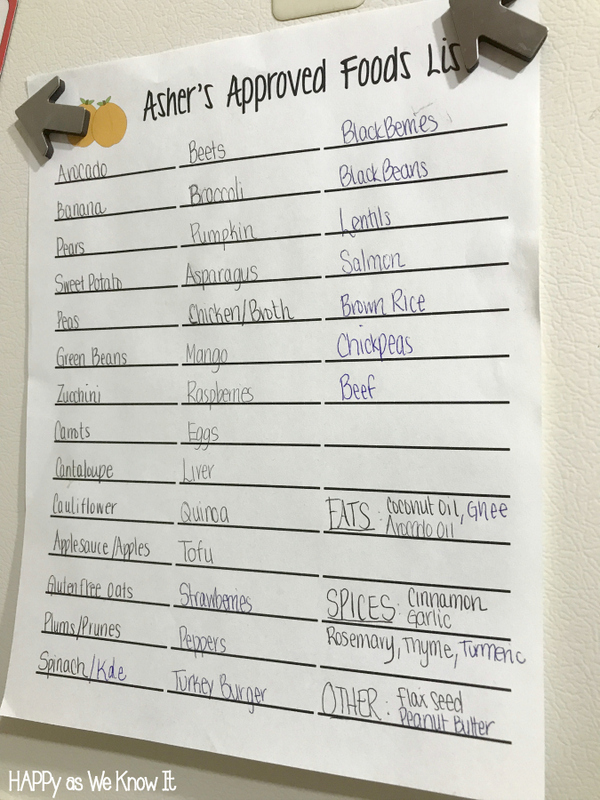 Tip #3: Keep a list (like the one pictured below) of foods that you've given your kiddo successfully. 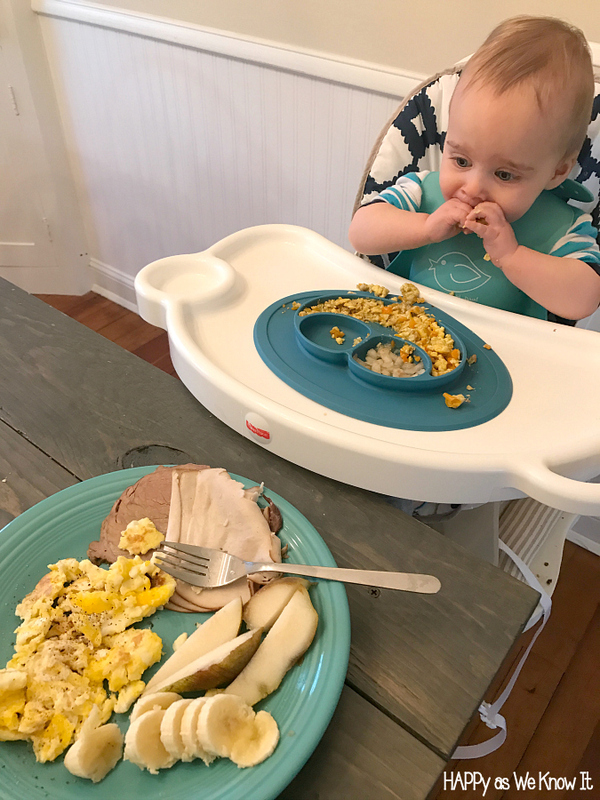 I initially started this as a place to document "approved foods" as we would feed Asher a new food only every three days in an effort to give his body time to adjust to it and for us to monitor for allergies. Each time we introduced a new food successfully, I would add it to the list. Now, I am grateful I did it, as it also serves another purpose, similar to the book above, as a place for ideas for meals that I already know he has enjoyed. Tip #4: Make your efforts worthwhile and make things in "bulk". If you are a get it all done in a day meal prepper, go for it. If you prefer to spread it out and go little-by-little, that works too. I generally pick a few things each week from the store that I am going to make for the little guy to keep up our supply and make them in large batches throughout the week generally while the hubs and I are making dinner. That way, it doesn't seem so much like something "extra". Many times, I will just buy extra of what we are having and while we are washing and cutting our own food, we just add his right in the mix. Tip #5: Let your blender and ice cube trays be your best friends. 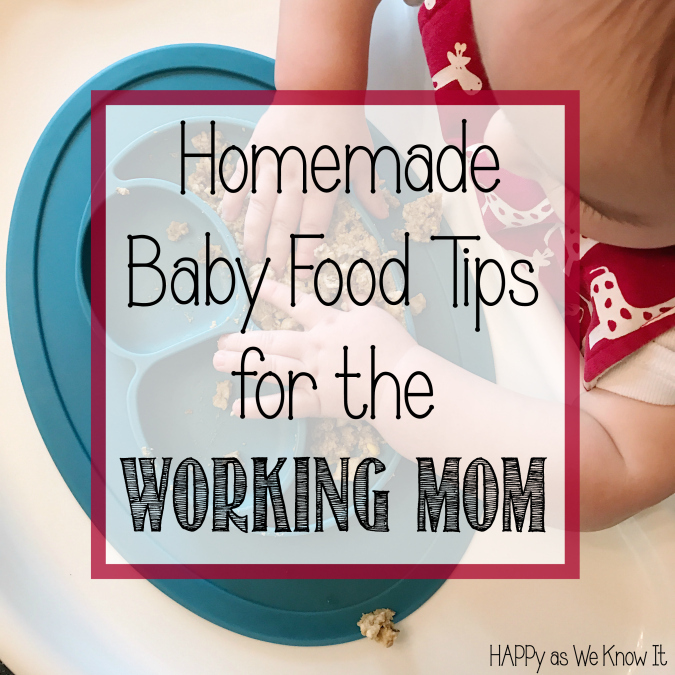 This is probably not a new one to those of you who have researched anything on homemade baby food, and I stand by what all the other mamas have to say on this one. 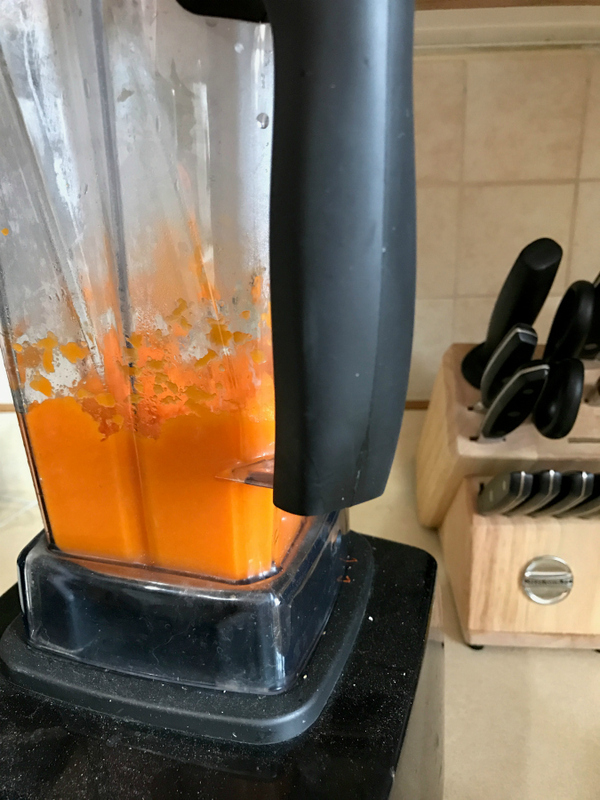 We purchased a Vitamix shortly after we got married, and it has been a Godsend for making Asher's food along with a million and one other things. Once the food is blended (and you can do anything from super smooth to chunky - which is what we rock these days), then just go ahead and slop it into your ice cube trays - trust me this doesn't have to be pretty. My favorite ice cube trays are these ones by OXO with a silicone top as I can easily stack them and keep anything else from getting in the food as well. Tip #7: Invest in a small (chemical free) frying pan. This has made my morning and evening meal prep a breeze when I am on a short time frame. When Asher first started solids, we would start with just one or two cubes of the same food, and we have gradually worked our way up. Now, I grab a few different types of food cubes from the freezer, throw them on our pan with some good fats (coconut or avocado oil and ghee are my favorites), toss in some spices and maybe a little breastmilk or bone broth if I need to add a little moisture and we are set. As everything literally just needs to heat up, I can throw it on and get other things accomplished while it heats up, and it is ready within minutes for the "boss" to enjoy. Tip #8: Buy reusable food pouches for those "barely going to make it" kind of days. I will be the first to admit I have a love/hate relationship with these - they are convenient and relatively mess free (which I love), but I always prefer to let Asher explore and eat his food on his own accord. Alas, they do work really well in a pinch. I use these in the morning probably at least once a week on days where he sleeps in or we are running late, and as soon as I prep his food I simply toss it in and then bring it with us so he can eat it when we arrive at daycare. The nice part is it really requires no extra effort on our provider's part to give it to him, as sucking is his jam so he gets that stuff out like it's his job. Really, I think deep down she is thanking me for running late, as it keeps him entertained for a bit longer than normal upon arrival. My favorite reusable pouches are these from Weesprout. Tip #9: Have some easy-to-grab foods that you don't have to mess with cooking at all on hand too. Similar to the pouches, these work particularly well for those extra busy days when heating up food (and then giving it adequate time to cool down) just isn't in the cards. Some of my favorites include avocado, hard boiled eggs, tofu, hummus, any fruit really, etc. I always try and have a few of these things on hand and ready to go. The nice thing is many of these foods can also double as snacks or a meal "top off" on those days when the little one is still asking for more. Tip #10: Have meals together. If you take away anything from this post, let this be it. Trust me, I get it - with a kiddo that goes to bed around 6:30pm and wakes up on any given day with barely enough time for us to nurse and zip out the door, this one can be tough for us some days. However, whenever we can, we make it a point to eat along with Asher. This is so important as we not only serve as models for him as we eat our food, but also because we are showing him the value we place on family time and togetherness. Truth is folks, I could slave over preparing him the most nutrient rich meals with all the bells and whistles money could buy, and that still wouldn't even have a sliver of the impact on our little guy as our presence at the table. What tips do you have for feeding your little one? Fellow moms (and dads) feel free to share - and happy feasting!